Apple has agreed to pay up to $450 million to settle a class-action lawsuit from states and consumers accusing the iPad maker of illegally fixing e-book prices and raising costs. The settlement was first revealed by New York Attorney General Eric T. Schneiderman, who indicated that the deal will resolve claims for consumer damages and civil penalties brought forward in lawsuits by the state of New York and 32 other states and territories. Schneiderman said the settlement could result in payments of up to $400 million to consumers. Total costs in the conditional settlement are said to be around $450 million, according to Reuters. "This settlement proves that even the biggest, most powerful companies in the world must play by the same rules as everyone else," Schneiderman said. "In a major victory, our settlement has the potential to result in Apple paying hundreds of millions of dollars to consumers to compensate them for paying unlawfully inflated E-book prices. We will continue to work with our colleagues in other states to ensure that all companies compete fairly with the knowledge that no one is above the law." The settlement was first announced last month, but the terms of the deal were not announced at that time. With the news of a $450 million agreement, Apple would save nearly $400 million from the $840 million the lawsuit originally sought, if it were to have gone to trial. While Apple has agreed to the terms, they must still be ratified by U.S. District Judge Denise Cote. If the court's ruling that Apple violated antitrust laws is affirmed, consumers will receive $400 million from Apple. But if the ruling is not affirmed and liability must be retried, the settlement provides a smaller recovery of $50 million. Apple could also pay nothing if the company is determined to have not violated antitrust laws. Apple led the charge in convincing publishers to switch to a so-called "agency" pricing model. That prevented content owners from being able to sell the same titles at a lower price elsewhere, without offering the same price on Apple's iBooks platform —a "most favored nations" clause. 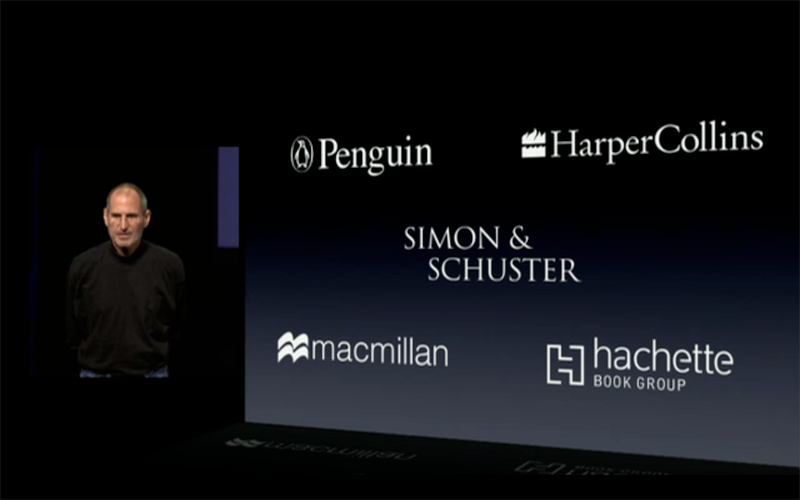 In contrast, the e-book industry prior to the launch of the first iPad was under the "wholesale model" preferred by Amazon. In that model, resellers such as Amazon had the power to set prices, selling titles at or below cost if they chose to do so. As Apple attempts to compete with Amazon, the iPad maker is now saddled with an injunction that bars it from entering into any unsavory deals with publishers. Publishers were also targeted by the government and chose to settle, and those payments will be in addition to anything Apple might pay to consumers. 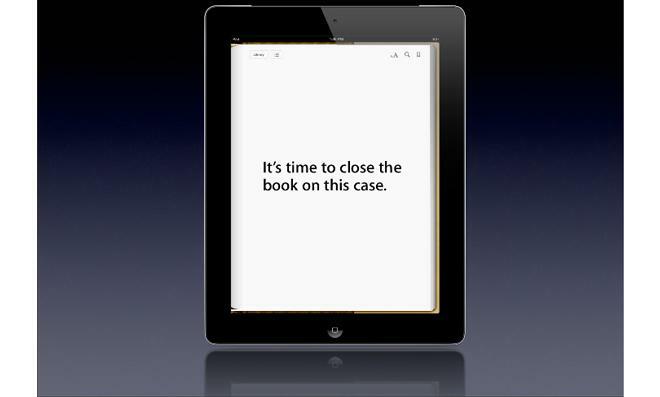 In separate litigation related to the same issue, Apple is in the process of appealing a ruling by the U.S. District Court for the Southern District of New York —the same court overseeing the class-action suit —that found the company guilty of colluding with major book publishers to falsely inflate pricing of content sold through the iBookstore.